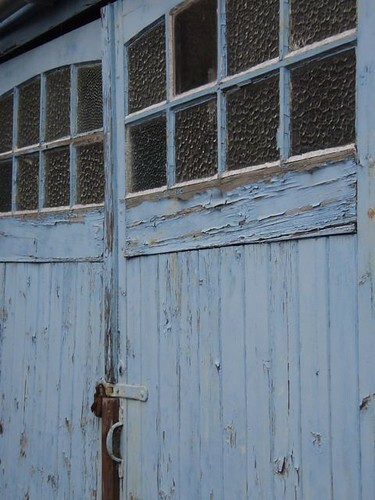 I love the colours and flaking paint on these old garage doors. Normally there are cars parked in front of them, and I usually whip past on my bike. Last week I went this way on foot (instead of my normal pedestrian route) and found them, rain-dampened and car-free. They remind me of beach huts, which is ironic, as we are right in the middle of the country and about as far from the sea as you can get in England. I often take pictures of flaky old paint and then wonder why. Mostly I only photograph things that are inspirational for my work. Flaky paint isn’t. I just love it. Thinking now, as I write this, it probably stems from the flaky paint on the garage (known as the shed) at the bottom of the garden of the house I grew up in. That was a darkish, leafy green, and had the same texture, as it flaked off the wood. I spent a lot of time in that shed, with my dad. Making stuff. I loved it. I think that’s a nice reason for liking flaking paint. I have possibly invented a mythology, but I like it, so I’m sticking with it. 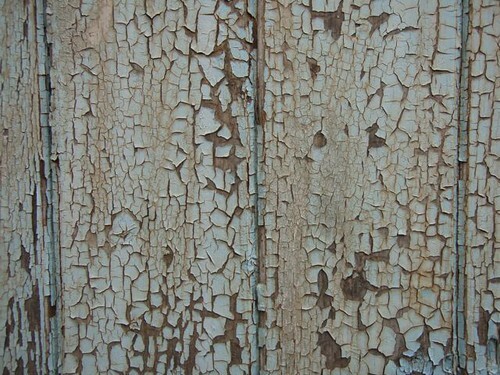 Its the texture of flaky paint that gets me. And the patterns the shapes of the flakes make. 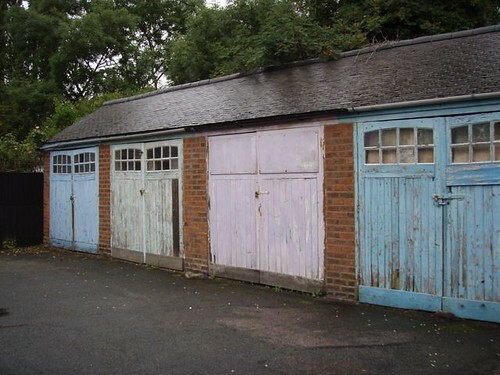 Those garages look so English to my Australian eyes. I have a thing about moss on brick walls, or old brick walls with the pointing chipping away. I remember going to Elsinore in Denmark and spending the whole trip photographing the outbuildings by the moat rather than the castle itself.